New York City, NY, USA, August 31 2014 – Over a half million People celebrated the Brazilian Independence Day ( Brazilian Day) at six avenue in Manhattan with music, food and Samba bands on Sunday September 31 2014. People come from as close as Long Island and New Jersey to as far as Japan and Africa! 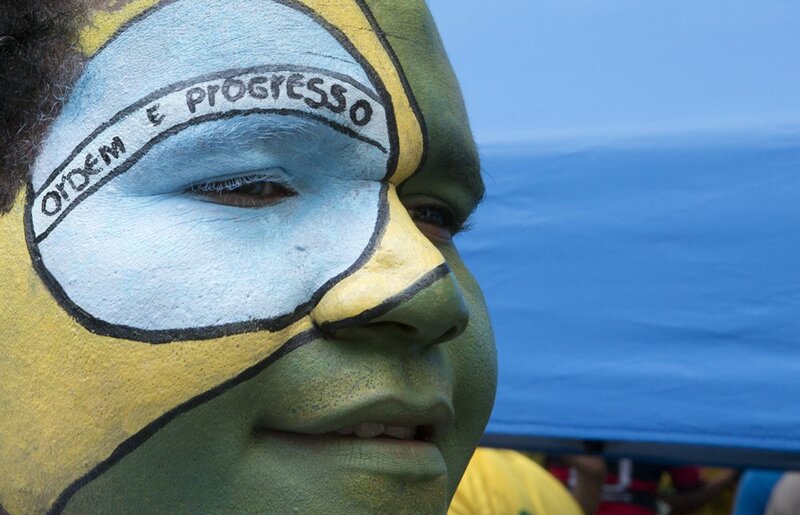 Brazilian Day in New York also attracts a diverse group. People come from all over the world and the United States! They all share the same special bond of loving and celebrating the beautiful Brazilian Culture. To get to the festival some travel in groups or caravans, some commute by bus, some fly in, and others will drive hundreds of miles to be there. No one wants to be left out of this party, which is now considered the worldis biggest Brazilian event outside Brazil and one of the greatest ethnic events in the Big Apple. The BR Day, produced by Joao de Matos, The Brasilians and TV Globo International is considered to be one of the biggest Brazilian festivities outside Brazil – that features a new brand image. “As of this edition, we have now an even bigger role on BR Day. We also continue to rely on the expertise of João de Matos with the event’s production team, which he has been doing for so many years. BR Day is the celebration of the Brazilian culture,” said André. Along with the tagline “The Greenyellow Mood”, the new brand celebrates Brazilians who every year travel from different parts of the US to be part of the celebration. It also salutes all Americans and those of all nationalities who relate to the Brazilian spirit and its blend of spices: the true Brazilians by soul. The Brazilian Day began in 1984 on 46th Street, also known as “Little Brazil”, in remembrance of Brazil’s Independence Day. The festival grew in size each year and now stretches across Sixth Avenue from 42nd Street to Central Park.